I was on-line monitoring for the price drop and within 5 minutes I tried to get one from PC World, Dixons etc but were all showing no availability at local stores. Decided to pop along to the store anyway but same story, none available and none due in stock. The TouchPad Tablet is one of 3 webOS based products announced by HP earlier this week and is aimed directly at the market currently dominated by the Apple iPad. It has a 9.7-inch diagonal capacitive multi-touch display with a resolution of 1024×768 supporting 18-bit color, and is powered by a dual-core 1.2GHz Qualcomm Snapdragon processor. 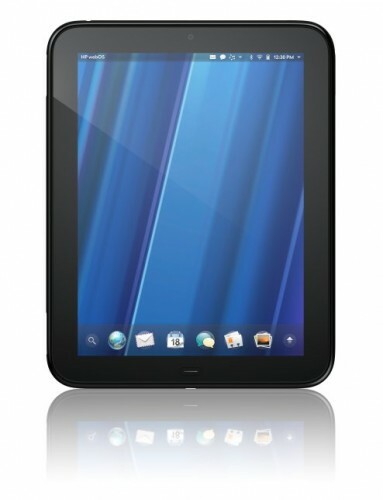 HP acquired Palm ( a provider of smartphones powered by the Palm webOS mobile operating system) back in April 2010 so perhaps its only natural to see the TouchPad driven by webOS. Using the full potential of true multi-tasking webOS allows the user to operate in a natural intuitive way. The TouchPad virtual keyboard incorporates a number row to reduce the need to switch between different layouts. HP is working with Quickoffice to include the Quickoffice Connect Mobile Suite to allow users to view and edit documents from Microsoft Word and Excel. There is also support for Adobe's Flash technology.